Welcome to EgN's Steam Group! EgN is a gaming clan mainly based around CSS, CSGO and GMOD. If you are interested in becoming a part of the community or if you just want to check us out go to http://elevatedgaming.net! 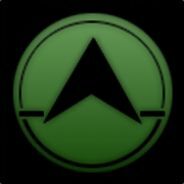 - This is the only official EgN Steam group! Feel free to ignore all others! - Complaints, unban requests, and all other important stuff goes on our forums! Sorry to inform you all but currently i am in a bit of a ultimatum, to shut down EgN or take over as leader. While i would love to take over and attempt to rebuild EgN from the ground up, i currently just don't have the free time to as of now nor the funds to keep this play up. Ima give it a week to think about all of my options and if none come up EgN will be shutdown. Just wanted to inform you all ahead of time. Come check out the new EgN website!